The final result of THE PLAN AWARD 2018 was announced in Perspective EU forum during the Venice biennale recently. 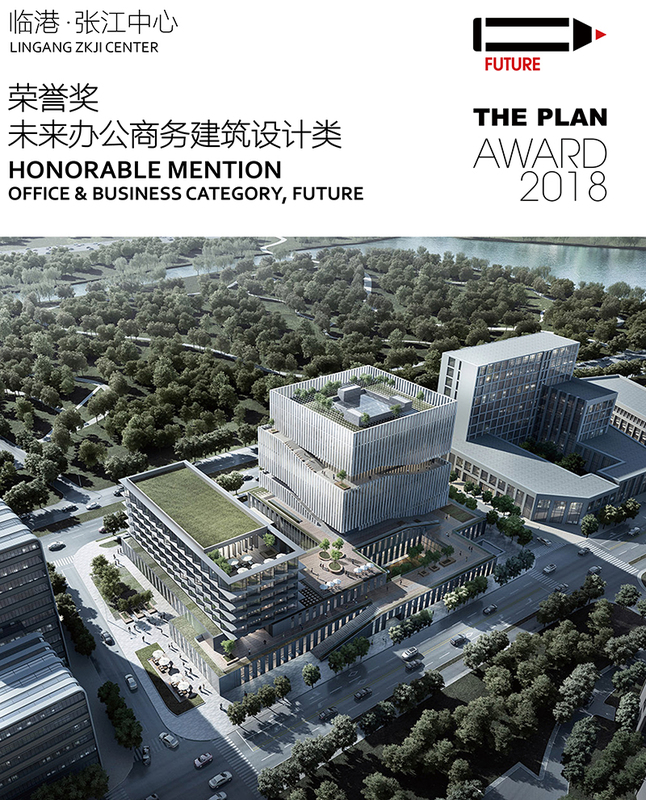 The LinGang ZKJI Center designed by Ping Jiang, the Design Principal of EID Architecture, won the Honorable Mention Award of the Future Office & Business Architecture Design category. The OCT Xi’an International Culture Center was presented Finalist of the Future Mixed-use Architecture Design category. Six elites in architectural design industry were invited to this award as jury panel, including the principal architect, professional scholar and curator (Nader Tehrani, Rocco Yim, Winka Dubbeldam, Maurizio Sabini, Raymund Ryan). Among them, Benedetta Tagliabue, a member of the pritzker prize judge of 2018, was also invited to participate in the selection. At the same time, the keynote speech held at the award ceremony has attracted much attention. THE PLAN AWARD is an award created and promoted by THE PLAN to disseminate knowledge of and improve the quality of the work done by designers, academics, critics and students in the architecture, design and city planning fields, thereby promoting debate on topical design and planning themes. Completed and future projects are eligible for the award. Zaha Hadid Architects, SOM, gmp, Sasaki, Toshiko Mori, Perkins+Will, Studio Gang, Behnisch Architekten and many other international architectural firms were also selected for the design awards.